Canan Marasligil is a freelance writer, editor, screenwriter and translator, who visited Edinburgh as part of the British Council Edinburgh Bookcase in 2010. She translated Emily Ballou’s poem for the TRANSPOESIE project. We’re delighted to have her blog post below. 26 September is the European Day of Languages, celebrated every year across European cities through a wide range of events. Brussels, a multilingual city in nature with its official bilingual status (French and Flemish), its common use of English as part of its international status (European Parliament, Commission and the NATO are based here among other big institutions) and its ever growing demographics of citizens speaking a wide variety of languages, is hosting the TRANSPOESIE project and asks all its metro commuters: one poem, one trip, how many journeys? Organised by EUNIC in Brussels and inspired by London’s Poems on the Underground and Warsaw’s Wiersze w Metrze displaying poetry in their cities underground stations, EUNIC has joined forces with the local transportation company STIB/MIVB to spread poetry all across the Brussels metro. 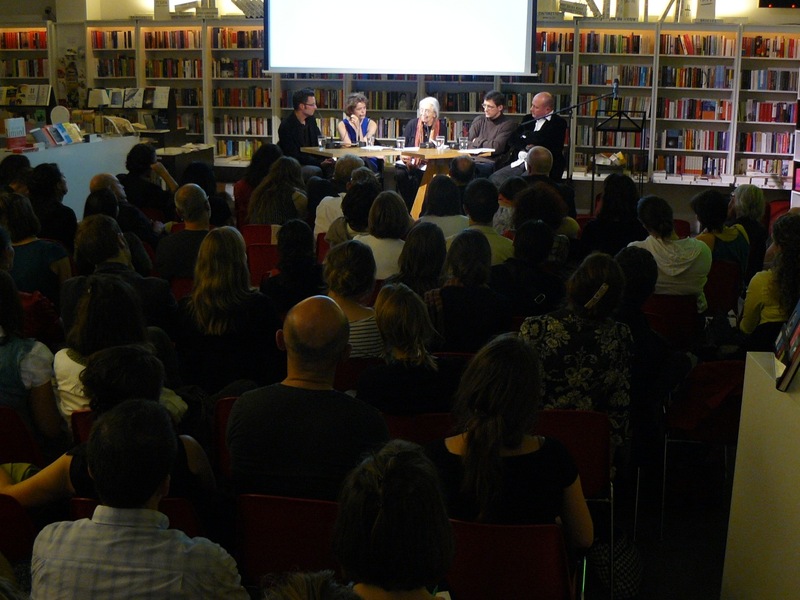 The official launch of TRANSPOESIE took place in Passa Porta, the International House of literatures, on the European Day of Languages. Directors Sigrid Bousset of Passa Porta and Martin Hope of British Council (current president of EUNIC Brussels) opened the event with an introduction on their respective institutions and their support for multilingual activities and projects. 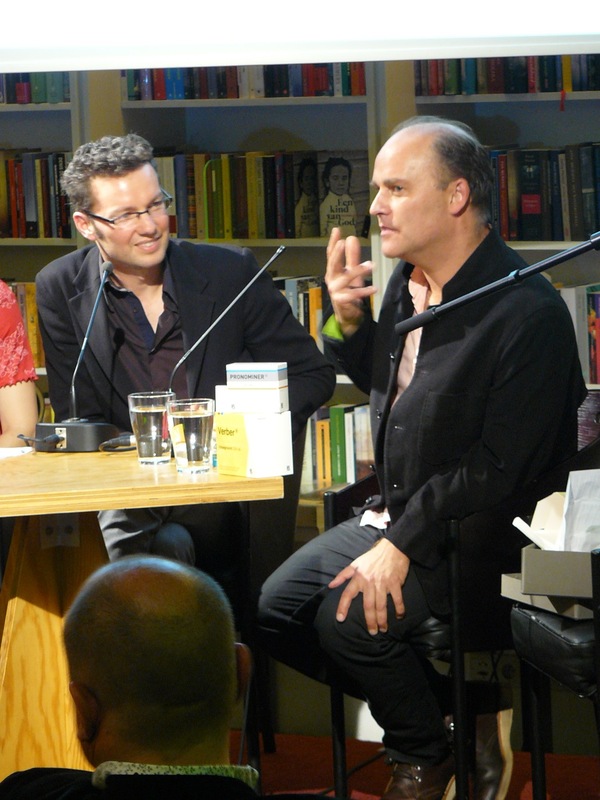 The evening was hosted by Belgian poet, essayist and academic Peter Vermeersch. 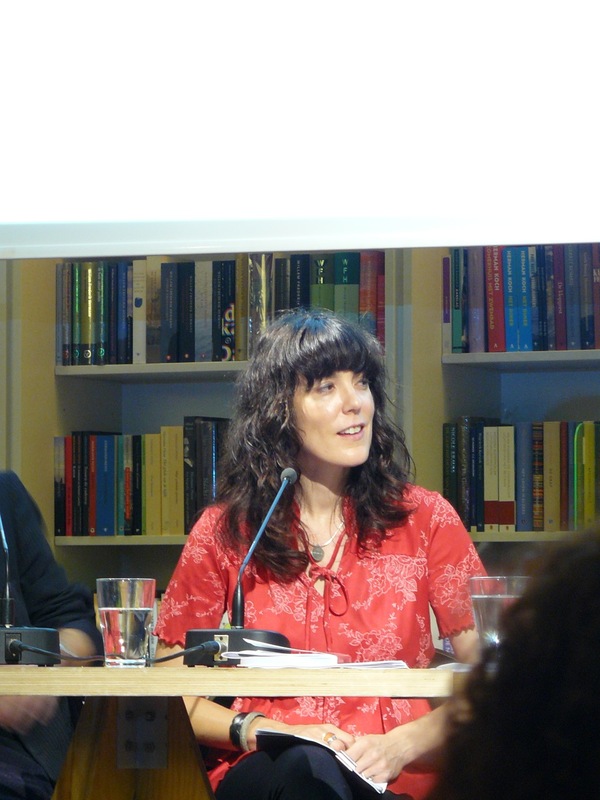 Seven of the twenty two poets featured on the TRANSPOESIE website were in Brussels to take the stage and discuss poetry, translation, languages, public space, and to read their poetry in their original language. The first part of the evening started with poets Morten Sondergaard from Denmark, Emily Ballou from the UK and Claudiu Komartin from Romania. Vermeersch started the discussion by asking the poets how they felt about writing for the public space and if the process was any different from writing for the page. It turned out all poems were already written before the project and not specifically thought for the public space. However, all three agreed on the challenge of being read by people on the move. “You’re always surrounded with text in the public space, so you need to compete with other content” says Sondergaard, “Poetry doesn’t sell” he adds. “We have moments in our lives when murmured words are more important than screamed ones” says Komartin, explaining that this is his idea of experiencing poems in the public space. “Among all those people, you have one moment for yourself when you are reading the poem” he says, emphasizing on the power of poetry. “If you want to be heard you have to lower your voice” adds Sondergaard. TRANSPOESIE is a project that brings poetry to people who are on the move and who can be transported by the poetry published on the billboards. Emily Ballou is also a screenwriter. When asked if she writes differently for the screen, she says that “for the screen, I look for images. Poetry gives more inside space.” She goes on telling about her preference to write on the typewriter, “I like the sound” she adds. The evening continued with four more poets: Lieke Marsman from the Netherlands, Clara Janés from Spain, Radek Malý from the Czech Republic and Carl Norac from Belgium. Vermeersch opened the conversation with multilingualism and translation, “Public space in Europe is filled with languages” he says giving Brussels as one good example. He asks the poets how they feel about being translated to another language. Vermeersch adds that it can even be more alienating when the poet knows the language in translation. 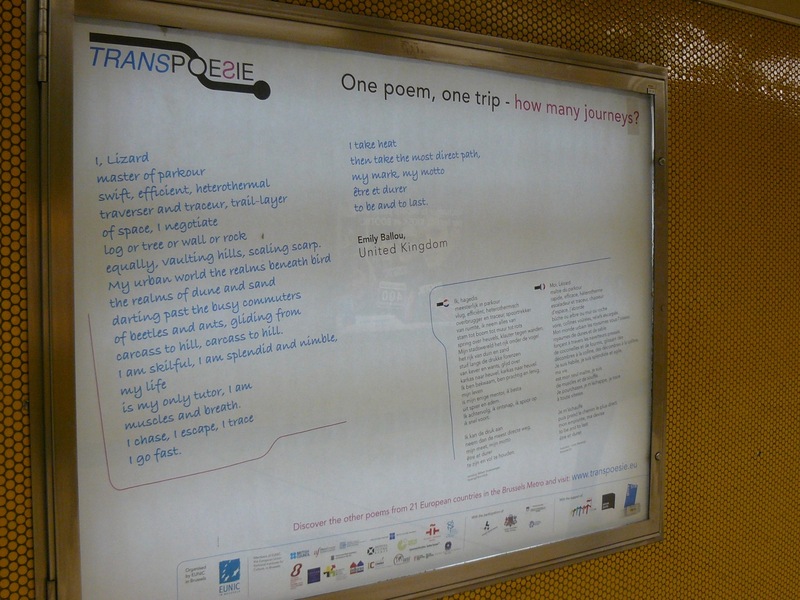 Poems will be on display in various metro station across Brussels until mid October. You can read all the poems in their original languages and in their Dutch and French translations (no English I’m afraid) on the TRANSPOESIE website.